Zumba involves dance and aerobic elements. Zumba’s choreography incorporates hip-hop, soca, samba, salsa, merengue, mambo, martial arts, and some Bollywood and belly dance moves. Squats and lunges are also included. Zumba does not charge licensing fees to gyms or fitness centers. There are 12 million people taking weekly Zumba classes in over 110,000 locations across more than 126 countries. 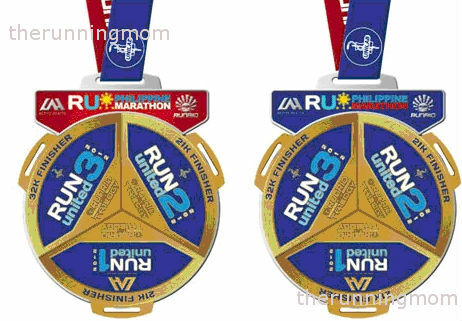 Alongside the prestige that comes with one of the country’s premier races, the 2012 Run United Philippine Marathon offers the chance to win great prizes. * Any participant/ winner who does not qualify under any of the above-mentioned qualification are considered a NON-FILIPINO RUNNER. The completed UNITED medal from the 2012 Run United Trilogy series (21-21-21/32) fits into the RUPM finisher’s medal. 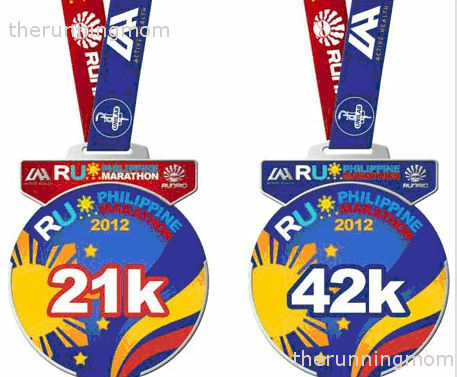 Having have completed all these medals shows a true testament of your commitment to progress your active lifestyle through UNILAB Active Health’s 2012 Run United Series. 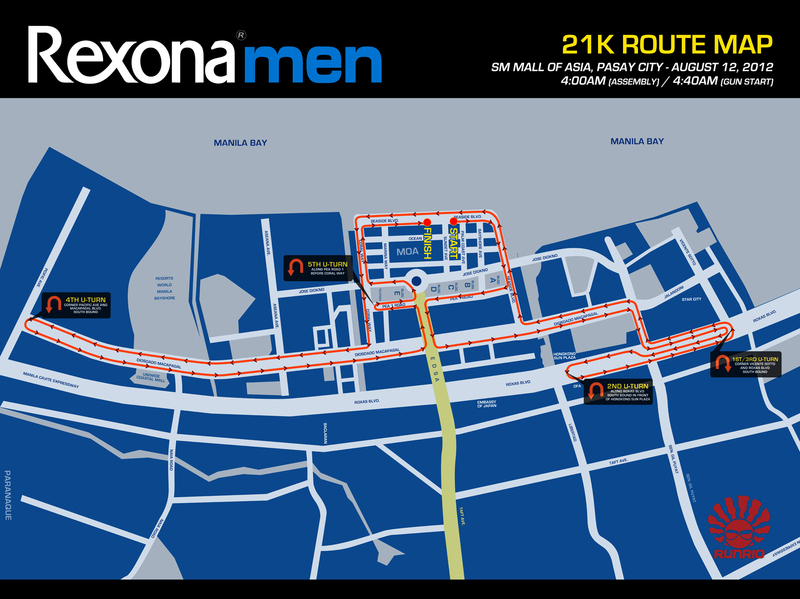 For those joining the Rexona Run 2012 tomorrow, September 23, you might want to check the updated route map below. The FIRST RUNNER must claim the race belt (image attached) at the 21K finisher’s tent BEFORE heading to the starting line. 1. Only one race belt per relay team. 2. 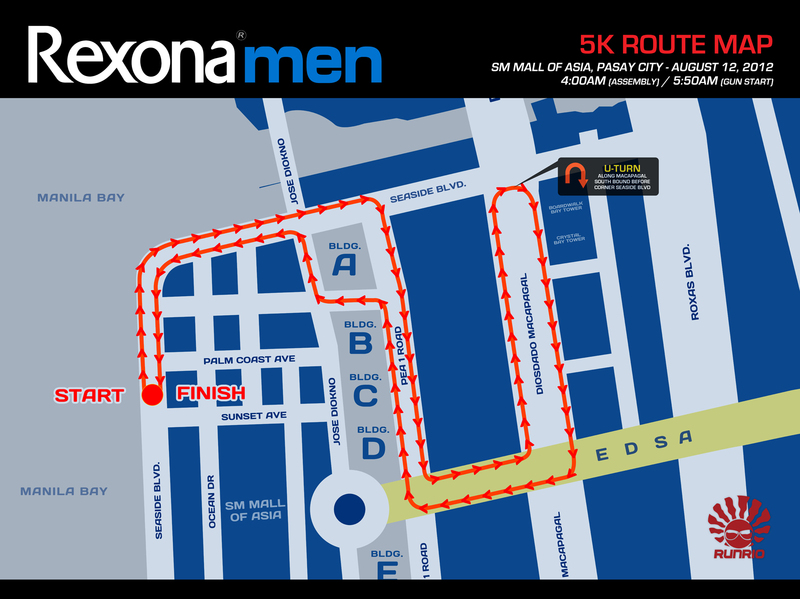 The first runner MUST attach his race bib to the Rexona Race Belt before heading to the starting line. 3. 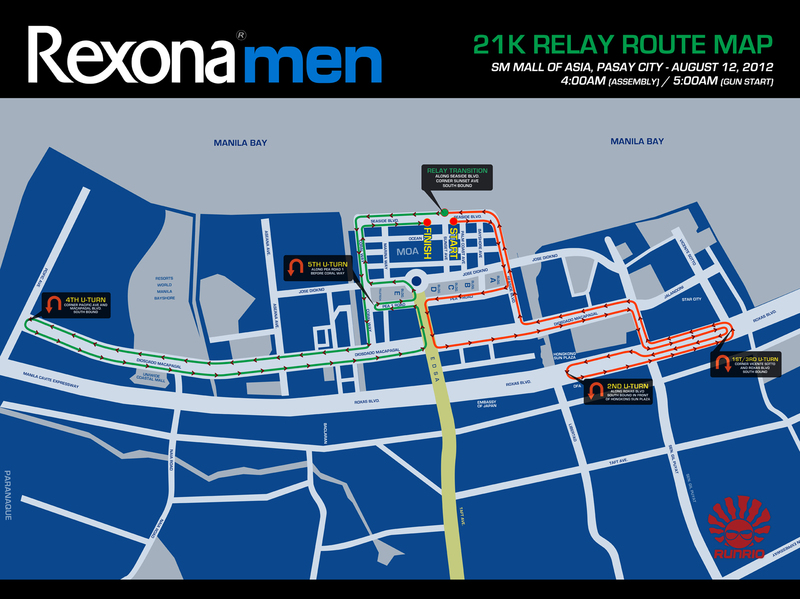 After running the first 10.5km, the first runner will hand over the race bib WITH the Rexona Race Belt to the second runner (for faster transition) at the relay transition area. There will be marshals present to assist you. 4. Two finishers kits will be given to the team upon presenting their race bib at the 21K finishers tent. 5. The second runner will be the one to receive the two finishers medals upon completion of the 2nd 10.5km. 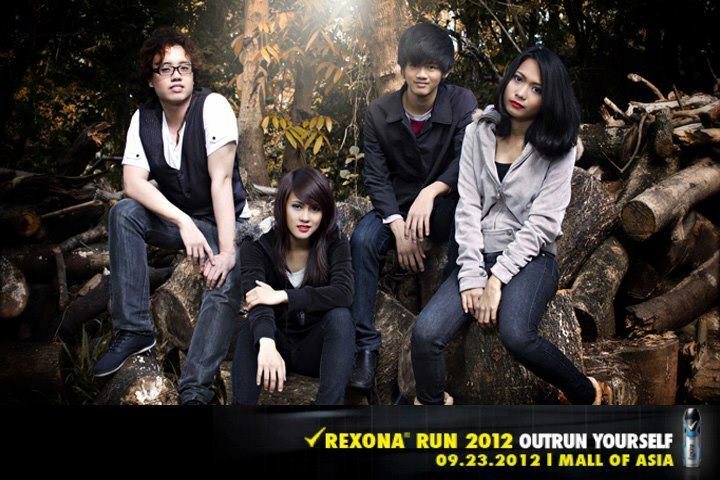 Aside from the actual run, other activities in the upcoming Rexona Run 2012 include a KINECT hub, photowalls, and performances from bands like 6cyclemind and Gracenote! For those joining the 21K and 32K run of the Run United 3, here is the updated route map. 1. Race is open to all ages but only adults 18 and up are qualified to place in the top finishers. 2. Registration is FREE, simply present your official receipt of Ensure products purchased from September 1 to October 19, 2012 at any of the registration sites.